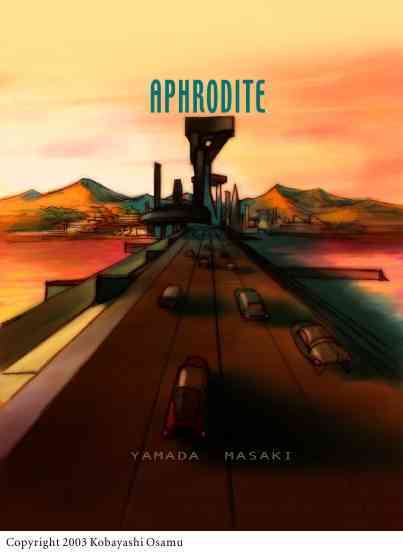 While Aphrodite is on the brink of disastrous uncertainty regarding its future as a seafaring city of welfare and camaraderie, the cusp of reality encroaches upon Yuichi and soon the cusp broadens into a crack, a crevice, an expanding chasm of doubt. This doubt plagues him; the years of lost love and lost hope age him immediately when reality sinks in: Aphrodite isn't perfect and is no longer viable. [...] Aphrodite is an introspective foray into escapism and caged hope in conflict with reality. Yamada Masaki has been a leading figure in the Japanese literary world for decades, with an extensive list of titles to his credit in general fiction, science fiction, mystery, and adventure. He has won a variety of prestigious awards, including the Seiun Prize (the Japanese equivalent of the Hugo Award) four times, Mystery Writers of Japan Award, and the Nihon SF Taisho Award (the Japanese Nebula).